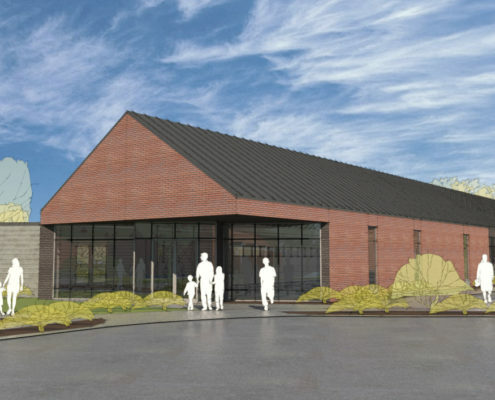 INDIANAPOLIS, May 10, 2018 – As part of a long-term and comprehensive investment in Indianapolis’ Far Eastside, today Glick Philanthropies broke ground on a state-of-the-art, $2 million facility that will build community and create opportunity in one of the city’s most economically-challenged neighborhoods. Anchored by Carriage House East, the largest Glick Family Housing Foundation apartment community, the Carriage House East Resident Success Center will connect residents and neighbors alike to the services they need to break the cycle of poverty and achieve self-sufficiency. The 10,000 square-foot Success Center will open in January 2019. 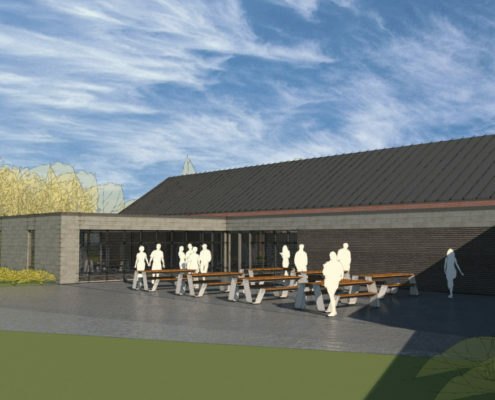 It will include several multi-purpose spaces for community events, a teaching kitchen for cooking classes, a greenhouse and outdoor gathering space and a welcoming entry with computers to serve as a social hub for residents and neighbors. The Success Center will enable Carriage House East residents, their families and the public to access workforce development training, after-school programs and other resources that help them achieve success in school, work and life. Glick Philanthropies invests in organizations that help residents and neighbors move up the economic ladder. Over the past five years, Glick Philanthropies has invested more than $8 million in the programs and services on the Far Eastside, where the Gene B. Glick Company was originally headquartered. The Success Center is a critical component of Glick Philanthropies’ Far Eastside Success Initiative, a cross-sector effort that includes key members of Indianapolis’ corporate, civic, philanthropic and public sectors. During the groundbreaking ceremony, community partner Finish Line Youth Foundation announced a $100,000 partnership with KaBoom, a national non-profit dedicated to bringing play back into the lives of children, to construct a playground for children and families visiting the Success Center. In June, children from Carriage House East will have the chance to draw their dream playground. Their sketches will be used as inspiration for the final playground design. This fall, 200 volunteers from Carriage House East, Glick Philanthropies, Finish Line Youth Foundation and other Far Eastside community partners will construct the playground in one day. The build will take roughly 7 hours to complete. 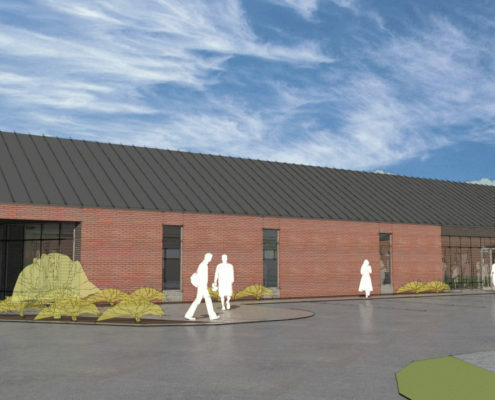 For the past year, Glick Philanthropies has been partnering with Carriage House East residents and members of the community to develop plans for the facility and the programs offered there. Residents will also have an opportunity to provide input on the interior design features of the Success Center. Approximately 4,500 Indianapolis residents live on the Far Eastside, and 40 percent of them are under age 18. More than a quarter (27%) of residents live on incomes of less than $10,000 a year, making the Far Eastside one of the highest-poverty neighborhoods in Indianapolis. The Far Eastside Success Initiative aims to address these challenges through coordinated, collaborative investments in high-performing schools, public safety efforts, quality and supportive affordable housing, community leadership development and more. At today’s groundbreaking ceremony, Indianapolis Mayor Joe Hogsett articulated his administration’s vision and plans for the Far Eastside neighborhood, including efforts to improve infrastructure and connect the community to other parts of the city via the development of the IndyGo Purple Line.